The 42nd Airship Battalion’s Chief Engineer/Sr. Navigator, A. D. Cruize and Sky Marshall, Arewe’ C. Thereyet ran a Make & Take panel at the Steampunk mini-con in Houston, Twisted Gears. 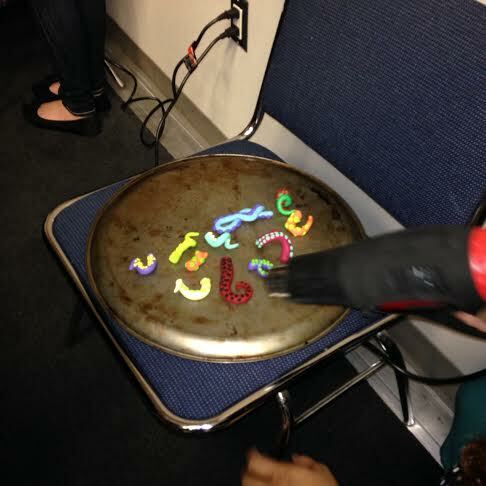 They revealed how easily we can turn toy guns into shiny Steampunk weapons. Cruize and Thereyet came armed with an assortment of plastic toy guns for us to conveniently purchase and make into steampunk weapons to take home. 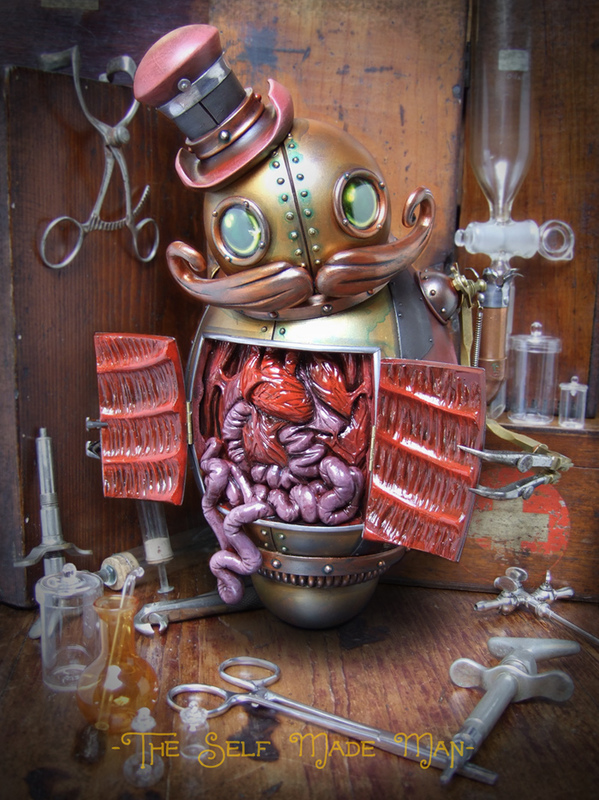 Since plastic is light weight, it’s favorable for steampunk accessories. Keep that in mind when planning your outfit. Metal isn’t light weight or comfortable, especially if you live in a hot, humid climate like Houston, Texas. You can aquire guns like the ones we used at the dollar store, Goodwill, Salvation Army, flea markets, garage sales or your own home. If you buy a used item, give it a good general cleaning before you paint it. For those who chose water guns, the first thing they did was pull out the stoppers. Then, Cruise and Thereyet handed out sharpies and markers. 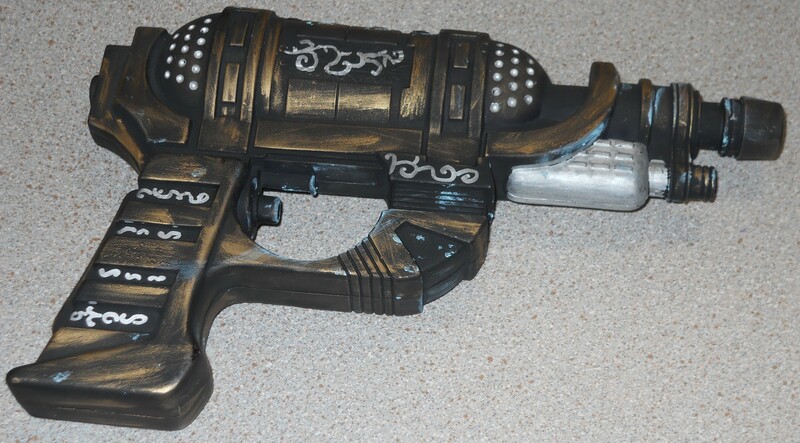 Before we began painting, we used our choice of colored markers to outline anything on the gun we wanted to stand out or define. Then, ready for the Rub’ n Buff, we picked the colors we wanted. Taking just a dab on our finger, we smeared it onto our weapons in a rubbing motion. Rub ‘n Buff feels smooth and light on your fingertips and is so easy to apply. Made of carnauba waxes, fine metallic powders and select pigments, it gives a metallic appearance to anything you rub it on. The important thing to remember about Rub ‘n Buff is a little dab will do you. You can find it at your local craft store but you’ll get a better selection of colors online and may find them cheaper there as well. We started with the intricate parts of the gun. Spreading Rub ‘n Buff on as evenly as we could, we rubbed it over our guns until we reached the desired effect we wanted. Remember a little bit will go a long way. You can meld the colors together for an interesting effect. If you accidentally get Rub ‘n Buff on an area you don’t want to, just smear a different color of Rub ‘n Buff over it. Once your gun is dry, take a soft, clean dry cloth and buff it. Just rub it until you bring out the shine. You may want to decorate your gun with gears, charms or feathers. Remember with plastic, you have to follow specific procedures to get stuff to stick to it. For the right paint and adhesive for plastic go to This to That. Everyone at the Twisted Gears Make & Take did a smashingly brilliant job on their guns and were pleased as punch with the results. You can make a steampunk gun just as easily. Find guns like the ones your characters use in your books and Steampunk them as props for your own outfits or as giveaways for your readers. Readers love to receive items their favorite authors actually made. Transforming these guns is also a lot of fun. 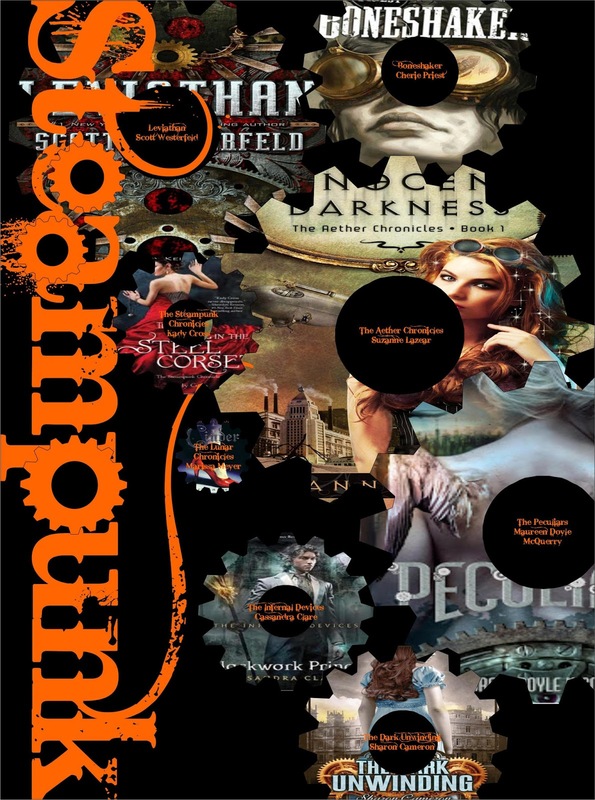 I love to hear from readers and my fellow Steampunk authors, please comment below. 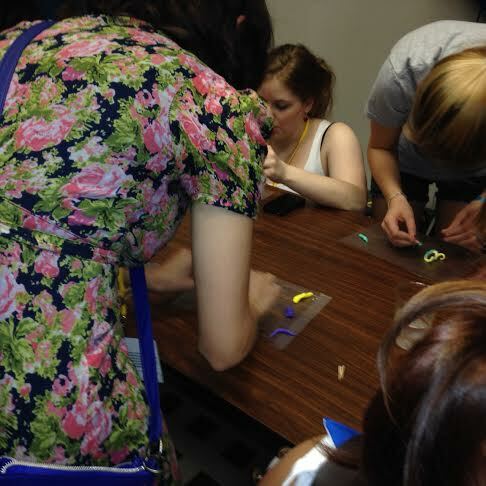 Today we welcome Karen from Teen Librarian Toolbox — it’s time to get crafty! 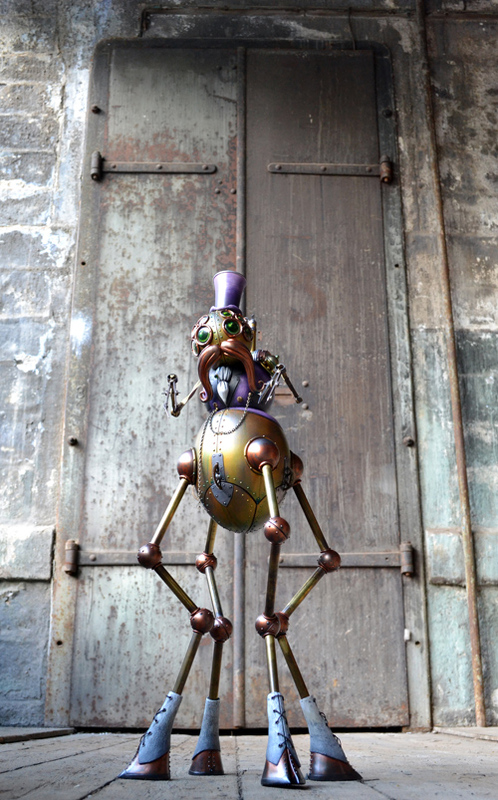 You don’t have to be an artisan to make Steampunk crafts. Here’s some ideas for kids and adults alike. 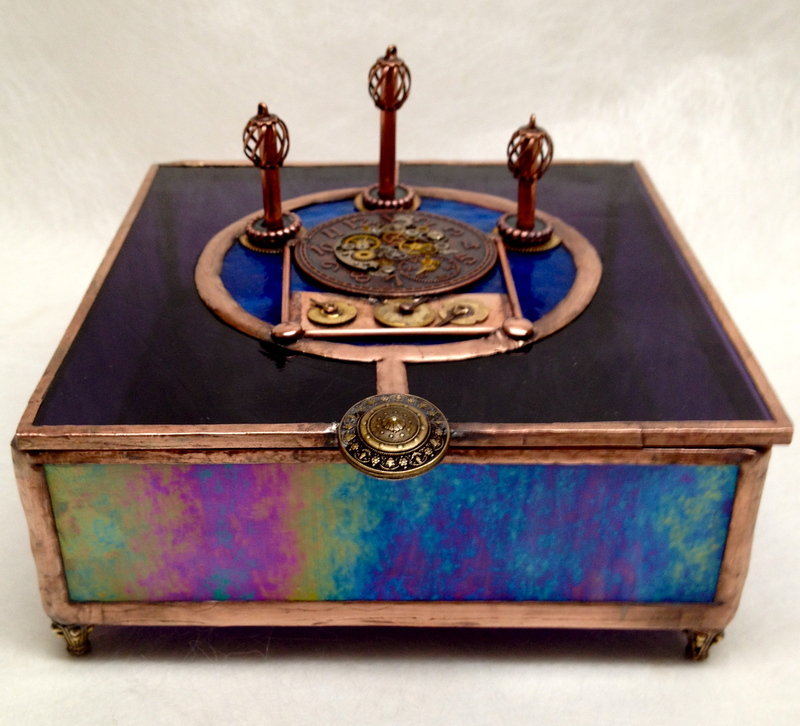 As part of Steampunkpalooza with author Suzanne Lazear, we are bringing you today some excellent Steampunk Crafts. 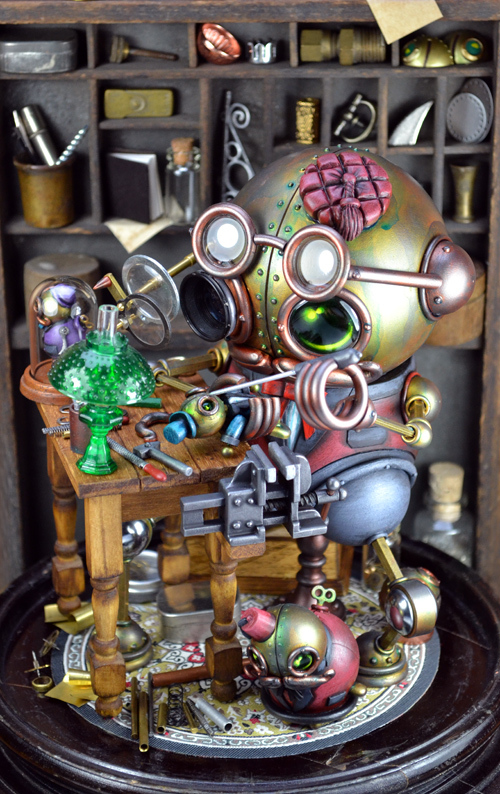 Ehow takes you through the 7 easy steps to make a fantastic Steampunk USB Drive. If you search on Etsy and Deviant Art you will see that people are making and selling all kinds of Steampunk USB drives for quite a chunk of change. 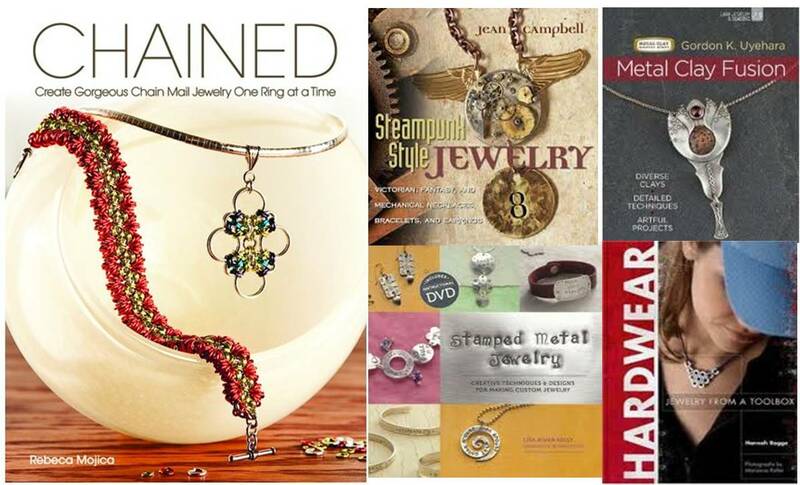 There are a variety of books out there that discuss making jewelry out of everyday things found in your toolbox. These are all easily adaptable to make some amazing Steampunk inspired jewelry. You can also use Pull Tabs, Beading Wire and Small Beads to make jewelry, like these ear rings found on Flickr. There are also step by step instructions over at Wiki How on how to make a pull tab bracelet.